The football just doesn't stop just now. Another two games were played inbetween the royal rumble in Warsaw. Things are going really well for Greece just now so I bet £5000 that they would win. It took Greece only six minutes to lose against the Czech Republic tonight. Jiracek opened the scoring after just three minutes thanks to a nice through ball and some pretty weak goalkeeping. I had the pleasure of hearing this goal on radio 5live, which was like having two vibrators shoved in my ears but slightly less pleasureable. Thankfully I was at home by half-time to see Jiracek's glorious bouncing hair. Three minutes later the Greeks were torn apart again. 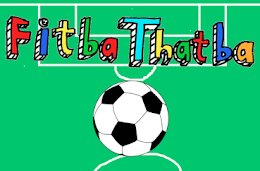 A ball was played down the right, squared, tapped in by Pilar and Greece had about as much chance of getting back into the game as a Greek school leaver has of finding a job. 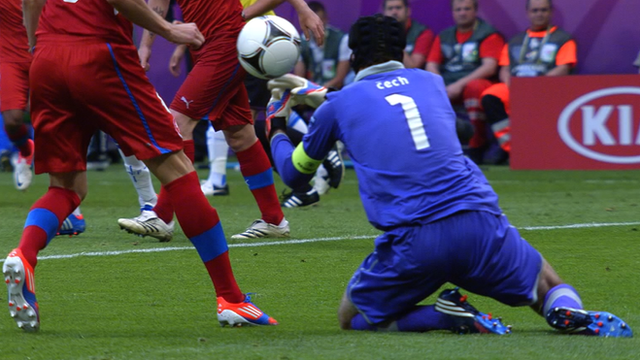 Peter Cech obviously felt very sorry for the Greek nation and very kindly donated them a goal. Terrified of having his hat knocked off, he turned away from the ball and spilled it into the path of Gekas. He somehow managed to squeeze the ball into a completey empty net and I cannot remember anything after that. I ate some wasabi peanuts which were delicious.